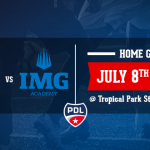 Miami, FLA. – To be a professional soccer player you need to get into one of the top youth academies, and then hope that you can break into the reserves and then the first team. With the PSG Academy Florida and the FC Miami City, you will find your route to your ultimate destination: the professional level. If you think it’s too late to make it, think again and read what’s next. 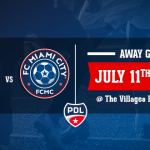 To complete our roster this season, soccer players from all across the world came to the FC Miami City to play and learn the rules, develop skills and hopefully play at higher levels. We are attempting here to revolutionize the way that all those talents can get exposed. A lot of American youngsters can feel like going to Europe is a distant dream; with us it’s not anymore! Getting into Europe is still the way to go if a talented young American wants to make it in the professional game. “Our focus is to bring top American players to Europe to be scouted and try-out with clubs rather than bring the clubs to the United States on a regular basis,” according to Head coach Wagneau Eloi. 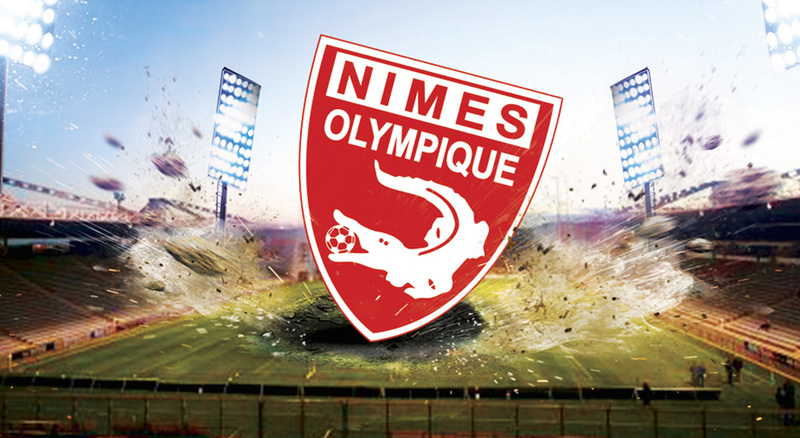 Thanks to our partnership with the French Ligue 1 and more closely the Nîmes Olympique FC, we are able to send our best players to Europe. Jérôme Arpinon, Assistant coach of the Nîmes Olympique FC came a few weeks in Miami to scout our players. As he is focused on scouting, he is always looking for fresh ways to discover and evaluate players. He coordinates and manages the efforts for recruitment and advance scouting purposes of the Nimes Olympiques. Thanks to his experience and his eye, he offered an opportunity for two of our former players: Mohamed Kourouma & Bryan Ruiz-Unger. Persistence and timing can be noted as two major factors that can influence the outcome of how deals can come (-or break) into fruition. Bryan Ruiz-Unger, who spent the latter part of last season delivering assists and incredible passes will be training for the next 3 months with the Nîmes Olympique. The club was capable of offering a slot in its professional team to train and grow with them. “We want to continue to expose more American players to these opportunities and give them the chance to showcase their talents where it counts” says president Ravy Truchot. For Mohamed Kourouma, this is a different story. He will be on an official tryout for 2 weeks, as the club is looking for a player with his skills and talent, especially to reinforce their attack for the upcoming 2016-2017 French Ligue 2 season. 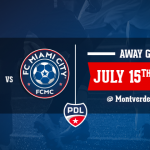 Of the 22 players wo were playing for the FC Miami City during last season, 2 have already signed pro right after the season (Jonathan Campbell in Thailand, Ryan Parrado in Malta), 2 have been sent to the Nîmes Olympique FC, 2 will be sent during the College Winter Break in December and 2 others are still working through logistics to register with clubs. Of course we will keep you posted of the evolvment during the upcoming days and weeks. Good luck to both of you! Stay Tuned.